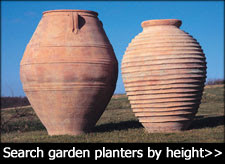 Standing 1 meter tall the Lagro planter will certainly make a statement. It has the capacity to house most specimen trees and looks great planted up with trailing annuals and perennials. 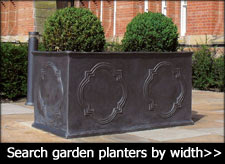 The Old Ironstone Lagro Planter has been sandblasted to produce a unique finish. It is a natural colour and will blend seamlessly into any hard landscape. ​Order online or telephone Sevenoaks 01732 522471. Office hours Monday to Saturday 8am-8pm including Bank Holidays except Christmas Day. 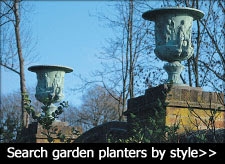 Ironstone is a natural mineral and the Old Ironstone planters require little maintenance. 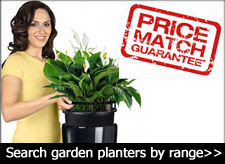 Riverhill Garden Supplies Ltd is a leading online supplier of Ironstone pots and planters in the UK and a specialist retailer of large garden pots made from quality materials. Simply order online and you will be contacted today to arrange delivery.